Kings of Leon released their sixth album, Mechanical Bull, in 2013 after a self-imposed hiatus following their tumultuous 2010 tour. This comeback was heralded as the beginning of a much-welcomed mature and confident sound for the band. 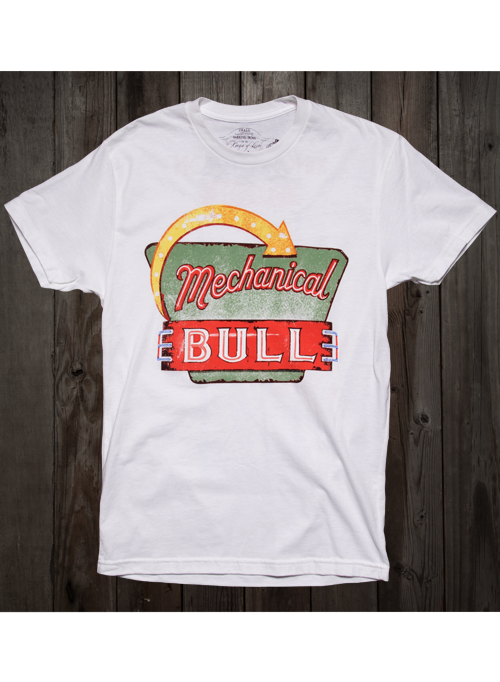 RockAndRollTShirts.com commemorates this album with a high-quality men%u2019s short-sleeved tee made of 100 percent white cotton, which features the Mechanical Bull album art on the front while the back has a full list of the 2014 tour dates.